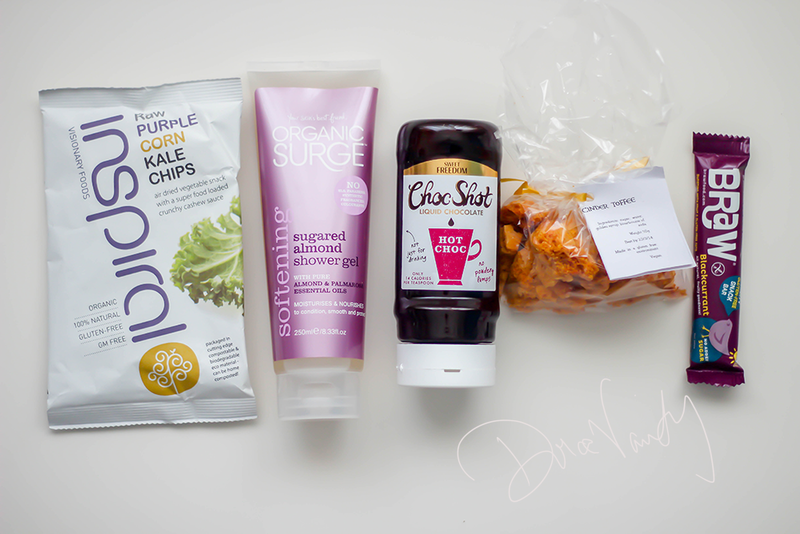 February's TheVeganKind box is more food based, coming off the heels of Veganuary anyone who is looking to continue the Vegan lifestyle or still wanting to easily transform - this box will give you some ideas. Unfortunately there isn't a rabbit this month to feature, with all this rain, I didn't want to take 1/11 out. Hope the standard picture this month will do! I generally have kale juice, not the keenest on it so when I opened this bag and saw actual small bunches of kale, crunchy and green. I took the risk and shockingly, enjoyed these Kale Chips immensely. A healthy snack, organic, vegan, raw, gluten free, soya free, cholesterol free, trans fat free no added cane sugar, 100% natural, no MSG or artificial additives, GMO free. I've previously used Organic Surge & gifted them to others (spread the goodness) I've only had the citrus, always my favourite. This has a lovely scent, almond all around. It's more soothing and relaxing the scent for me, probably a good one for in the evening when wanting to wind down. Choc Shot, 100% natural and sweetened with a magic ingredient - Sweet Freedom. 14 calories per teaspoon and suitable for diabetics. No artificial colourings, flavourings or preservatives. You can drizzle this on ice-cream, porridge, fruit. Spread on toast, squeeze and shake in a milkshake. 1066 Cake Stand - oh my god, I'm snacking on these right now and I absolutely ADORE the taste of these little treats. It definitely would be great with some vegan ice cream. The soft but satisfying crunch the h home baked, gives it a personal feel. Braw Bar, is a food company based in Scotland. Health conscious but tasty. No additives, preservatives, synthetic alternatives, no added sugar! Just under 120 calories, good for an in between meal snack or just anytime. This box has a £12.62 value. I know box values are important to a lot as you want to feel you're getting more for your money. I'm quite happy with this box to be honest as I've so far devoured nearly everything lol - always a good sign!